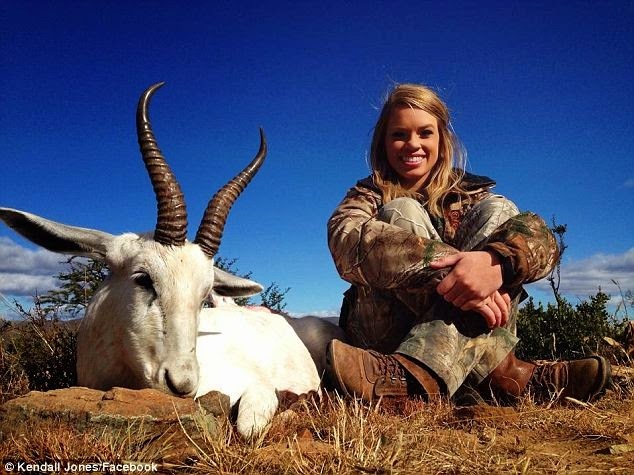 Dailybuzz.ch: Texas Cheerleader Hunts Rare Animals On African Safaris And Poses Alongside In Dozens Of Photos - Animal Rights Campaigners Outraged! 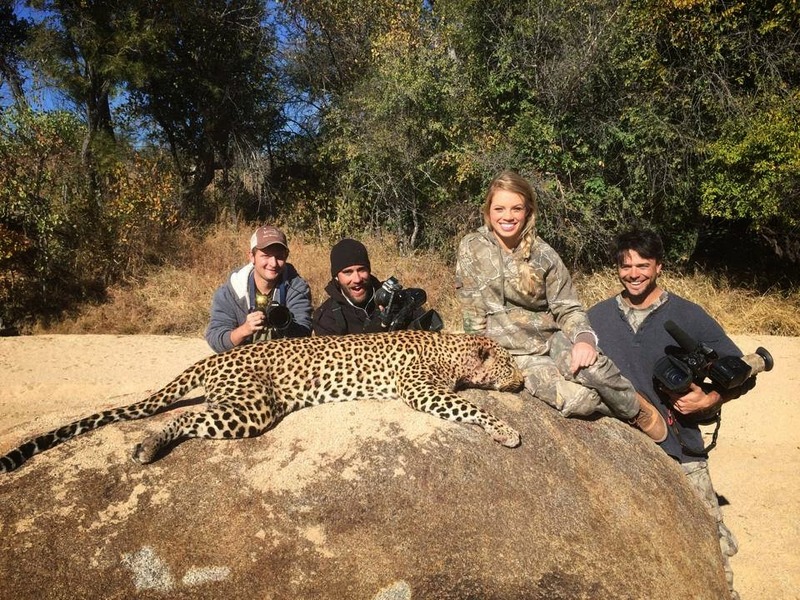 Texas Cheerleader Hunts Rare Animals On African Safaris And Poses Alongside In Dozens Of Photos - Animal Rights Campaigners Outraged! 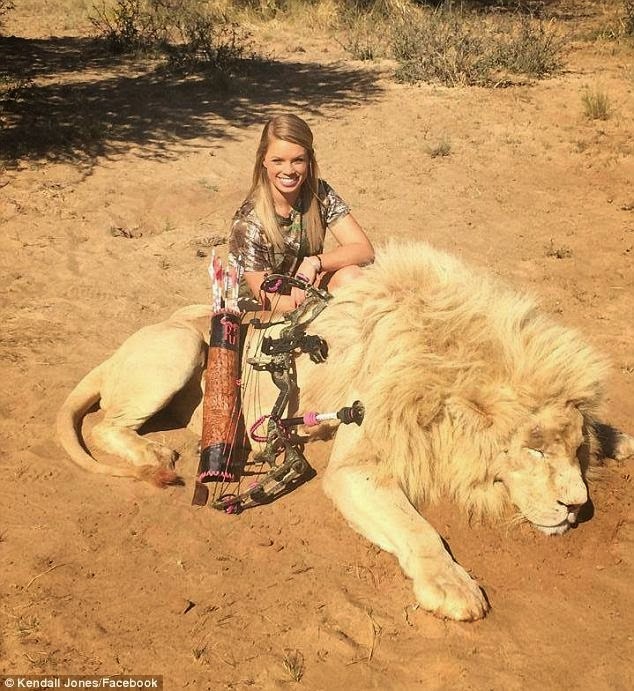 Kendall Jones, 19, is posting the photos on Facebook, where some believe the shots should be taken down. Jones has posted shots of herself posing with dead elephants, hippos and lions among others that she's killed across Africa. 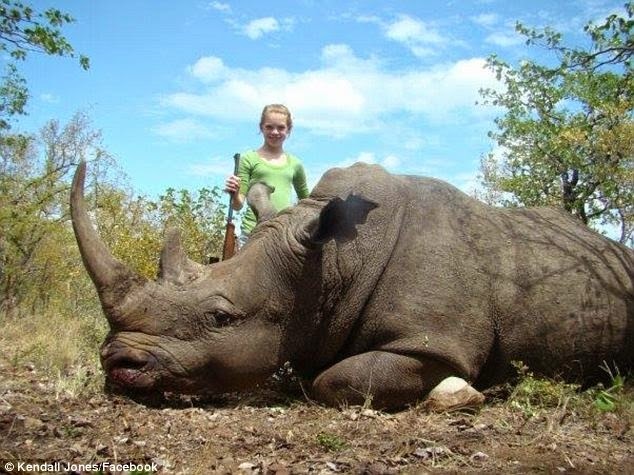 Jones claims her kills come after a 'fair chase,' but thousands are demanding that Facebook remove the posts. Jones is a cheerleader at Texas Tech and is gunning for a reality show about her African adventures. 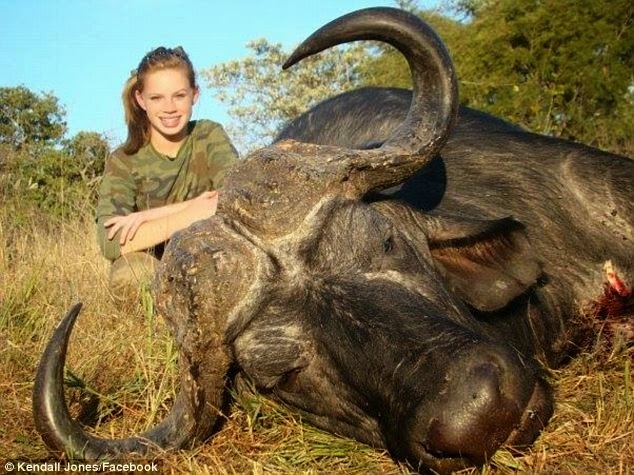 Global animal lovers are up in arms over a teenage Texas girl's love of killing big African game, so much so that they're even demanding she be banned from posting pictures of herself smiling alongside her trophies online. 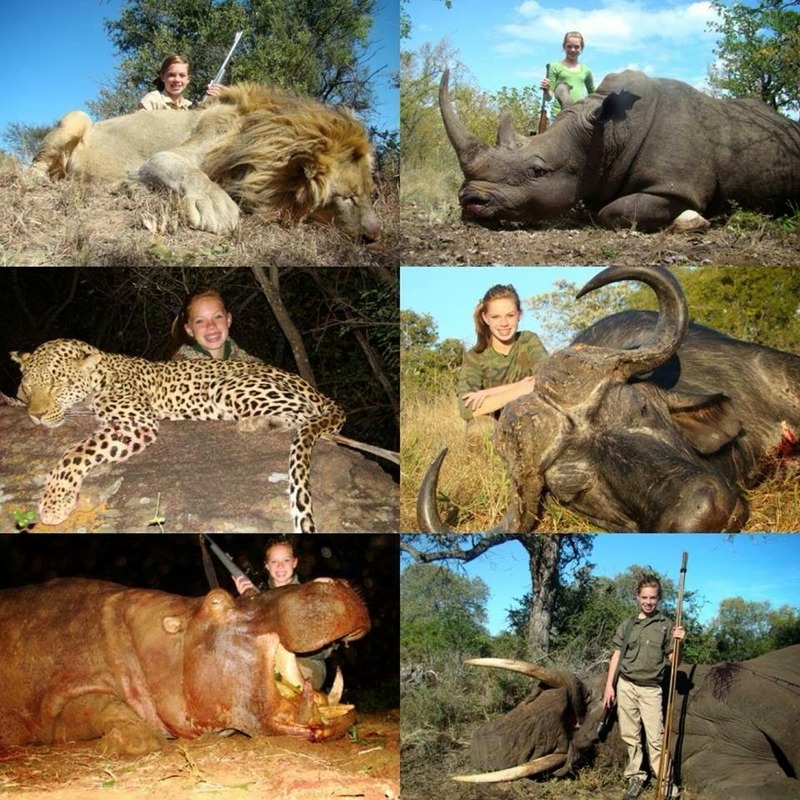 Nineteen-year-old Kendall Jones claims photos of dead hippos, elephants, lions and other beasts on Facebook are a testament to her hunting skills and dedication to game preservation. 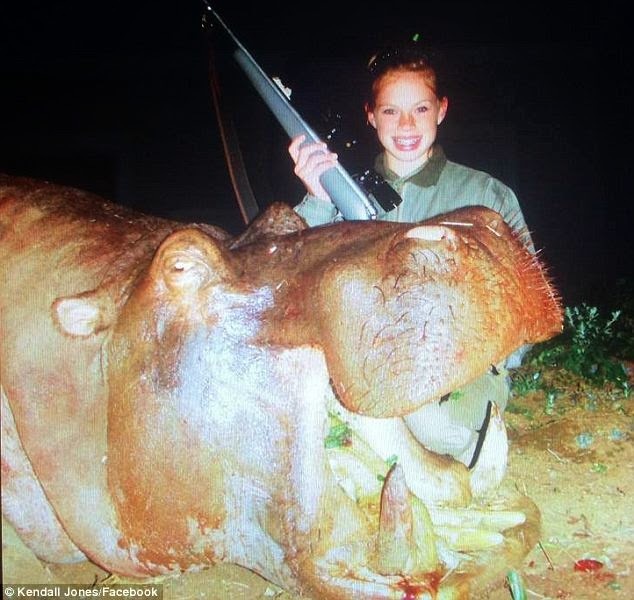 But critics are appalled by the teen's beaming social media and are calling Kendall sick and depraved for killing the rare animals and boasting about it online. An online petition to force Kendall to remove her page because it promotes animal cruelty had gained over 80,000 signatures so far. Jones, whose Facebook indicates she 'is looking to host a TV show in January 2015,' maintains she is doing what's best for the preserves, where there isn't always space for even threatened species like elephants or lions. 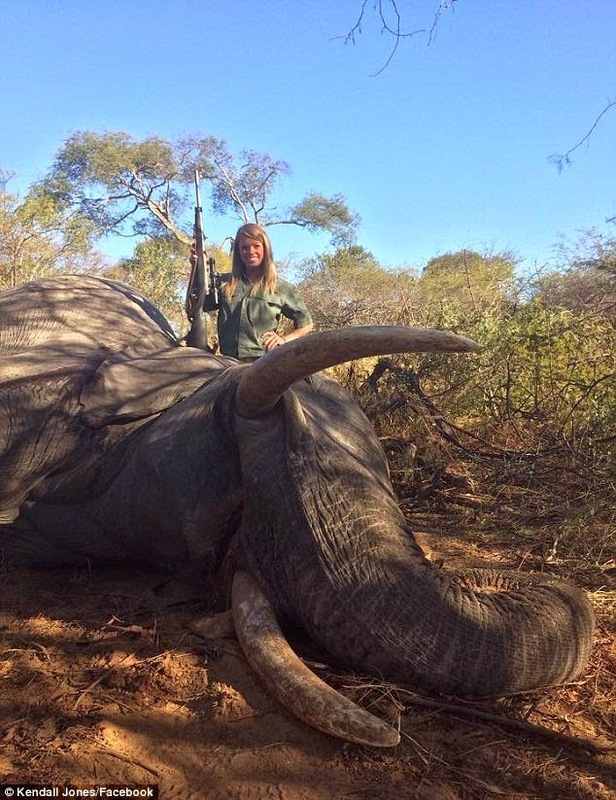 Jones's photos show her posing with bagged zebras, hugging a dead leopard, and smiling beside elephants she's killed. One particular photo, in which she's posing alongside a an extremely endangered rhinoceros, has her critics especially steaming, but the Texas Tech cheerleader says it was alive and well. 'The vet drew blood, took DNA samples, took body and head measurements, treated a leg injury and administered antibiotics. I felt very lucky to be part of such a great program and procedure that helps the White Rhino population through conservation,' she wrote. A second petition, this one on change.org and originating from South Africa, is hoping to do just that. 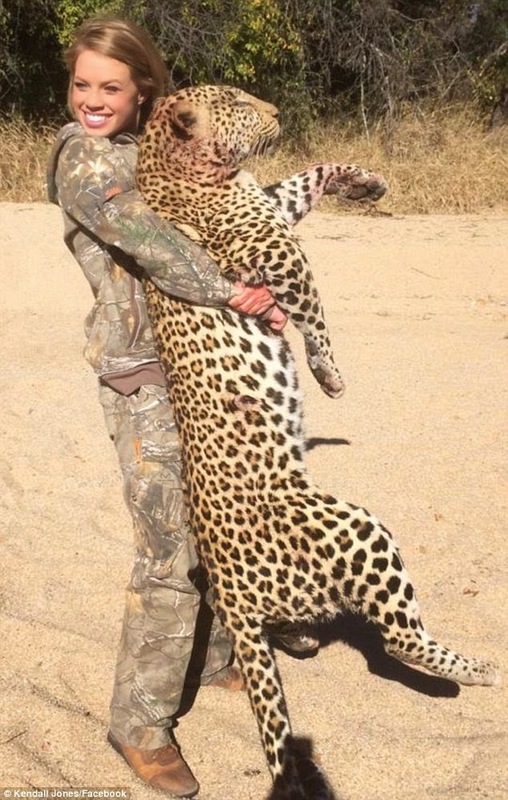 'Kendall Jones is an American born hunter who has entered the continent and has been hunting African wildlife under the facade of conservation,' reads the petition.